يوفر فندق Margarets Forest Holiday Apartments ظروف إقامة راقية وهو خيار رائج للسياح ولرجال الأعمال أيضاً. يقع في منطقة مطاعم, شواطئ, سياحة من المدينة. إن موقعه الجيد الذي يبعد 0 km فقط عن مركز المدينة يساعد النزلاء على الاستمتاع بمعالم المدينة ونشاطاتها. 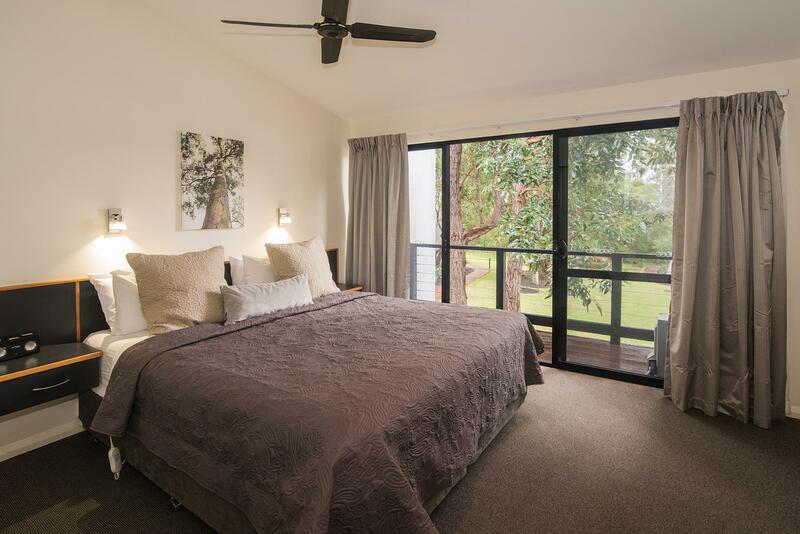 يوفر العقار بفضل موقعة الجيد وصولاً سهلاً إلى أهم معالم المدينة.
. يقدم Margarets Forest Holiday Apartments خدمات لا غبار عليها وكل أشكال اللياقة وحسن الضيافة اللازمة لإسعاد ضيوفه. يمكن الاستمتاع بمجموعة من الخدمات على أعلى المستويات في الفندق كمثل مرافق مخصصة لذوي الاحتياجات الخاصة, تخزين الأمتعة, واي فاي في المناطق العامة, صف السيارات, غرفة عائلية. تنعكس أجواء Margarets Forest Holiday Apartments في غرف الضيوف.تلفزيون بشاشة مسطحة, رف للملابس, قهوة فورية مجانية, شاي مجاني, بطانية كهربائية هي بعض الميزات الموجود في العديد من الغرف. يقدم الفندق مجموعة واسعة من وسائل الراحة المتنوعة، كمثل: حديقة. إن Margarets Forest Holiday Apartments هو مكان مثالي للمسافرين الذين يتطلعون إلى الراحة والاستجمام في المدينة. Stayed one night at one of the ground floor rooms. The location is superior, next to all the shops and restaurants. If you like the famous Margaret river bakery, it's just on the opposite side of the road, only 1 minute walking distance. The room is spacious and clean. Spa in the bath room can fit a couple in at the same time if you are under 160kg in total. It'll be fantastic if you've got a nice bath bubble bomb. The bed and sofa are quit comfortable. The kitchen is fulled equipped. We didn't cook anything coz we loved the food in the bakery and other restaurant here. If you want to cook, you can easily find IGA next door, Woolworths is not far away either. Thanks for your review! It'd wonderful to hear that you enjoyed your stay :) It was a pleasure to have you as our guest and we hope to see you next time. Privacy is ensured as there is no room service during our stay. 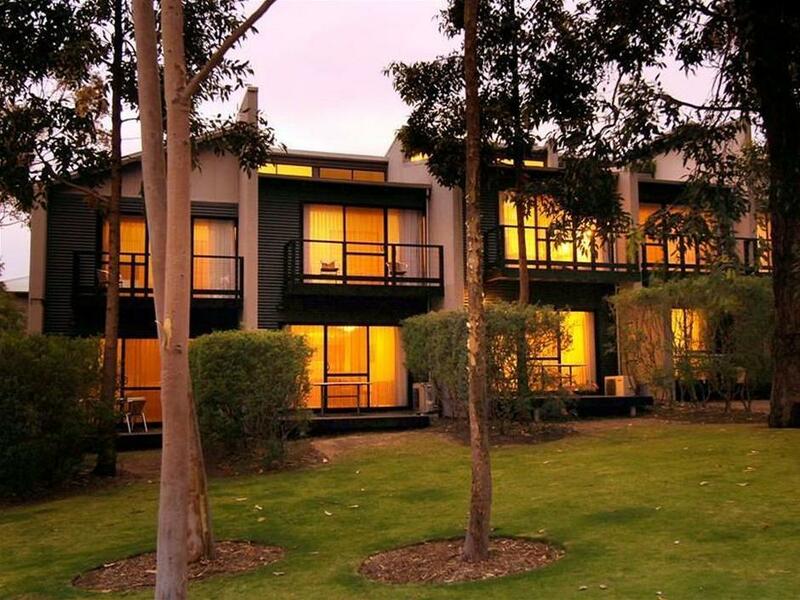 Margaret River is a small place, walking distance to all supermarkets and eateries. The kitchen is fully-equipped with, oven, microwave, stove, hob, crockery and cutlery. Complimentary baby cot and baby high chair upon request. Thanks for your review. We are so pleased to hear you enjoyed your stay and all the amenities provided. All the best with your travels and hope to see you next time! Took a two bedroom with spa bath. Kitchen was well equipped for our meal preparation. No wok but it is okay we still can stir fry our rice vermicelli the Asian style. There is a big Jacuzzi tub unfortunately no chance to try it. We were having problem with the dryer and took some time to figure out the door lid could not be closed properly resulting in dryer operation error. Nevertheless, cleanliness and facilities were most above expectation. Bed was comfortable too. 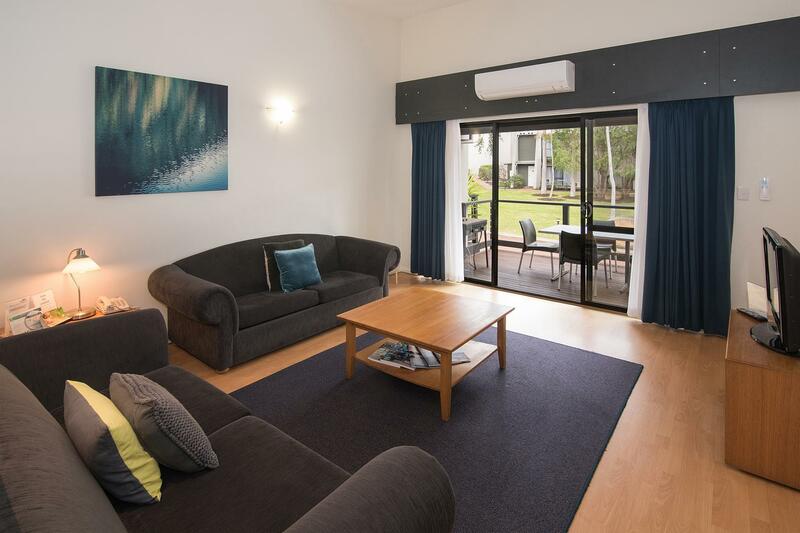 Location is very convenient can just park the car just in front of the apartment and walk to the shops and supermarkets which all were just within a 1km radius. Reception staff were all smiling and courteous. Thanks for your lovely review Stanley. So pleased to hear you enjoyed your stay and all the amenities provided. We have since fixed the dryer issue - thank you for letting us know. It was a pleasure to have you as our guest and we hope to see you for your next visit! We were very pleased when we entered the room as the rooms are well-designed. We booked the special access room as we have young kids and thought it would be better if we do not have stairs in the room. It was a wise decision. The bathroom was very spacious and there was a spa bath tub and a standing shower in the bathroom. The king size bed was enough to sleep 2 adults and 2 young kids. We rented dvds to watch. The kitchenette was also well-equipped and they even provided us with 2 high chairs for our kids. 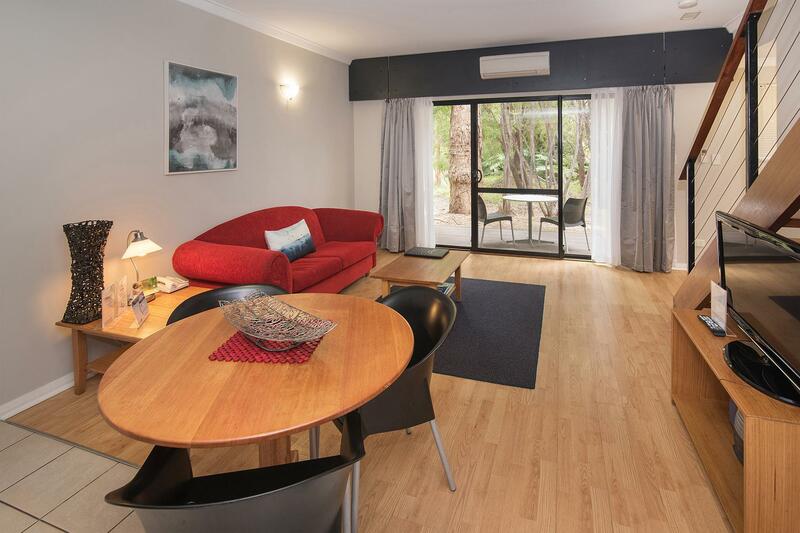 Great central location as it is close to everything you need in Margaret River town. Be it supermarkets (coles, IGA, woolsworth), eateries or target. Do visit Margaret River Bakery that is just across the road if you stay there. It’s a wonderful place for breakfast. The only downside was the weak WIFI that kept disconnecting. We ended up not using the WIFI at all during our 2 night stay. Apparently, the network is affected due to re-wiring. Still, highly recommended! We stayed at 2 bedroom apartment and i have to say the rooms are nice & clean . I wish it was a 2 bathroom/shower but other than that i would stay again. Thanks for your review Nattha! So pleased to hear you enjoyed your stay. We do have 2 bedroom 2 spa apartments available for next time :) we look forward to welcoming you back! The apartment is a 2 storey house with the bedrooms on the first floor and the kitchen and living room on the 2nd floor. The place is fully equipped with all the things you need. 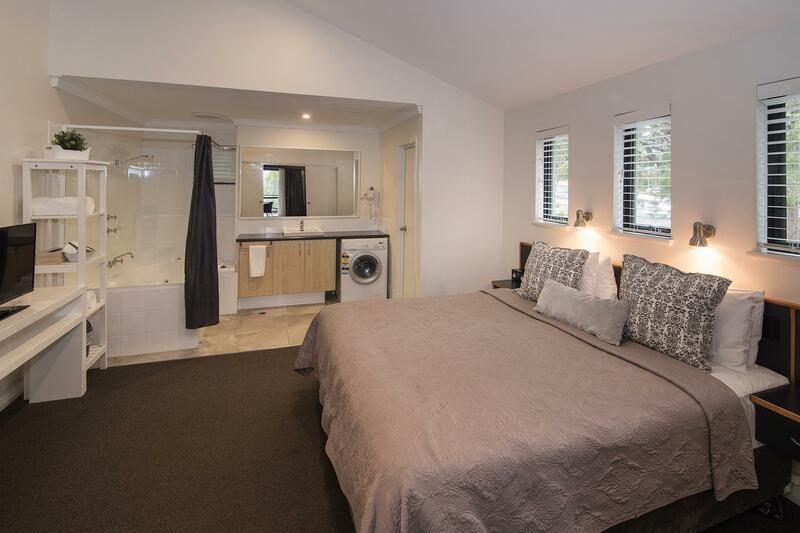 There’s a washing machine and dryer too. Lots of eateries within walking distance from the apartment and also a couple of supermarkets. Target is also within walking distance. Overall, a pleasant place to stay with family. We enjoyed our stay at Margaret River very much. 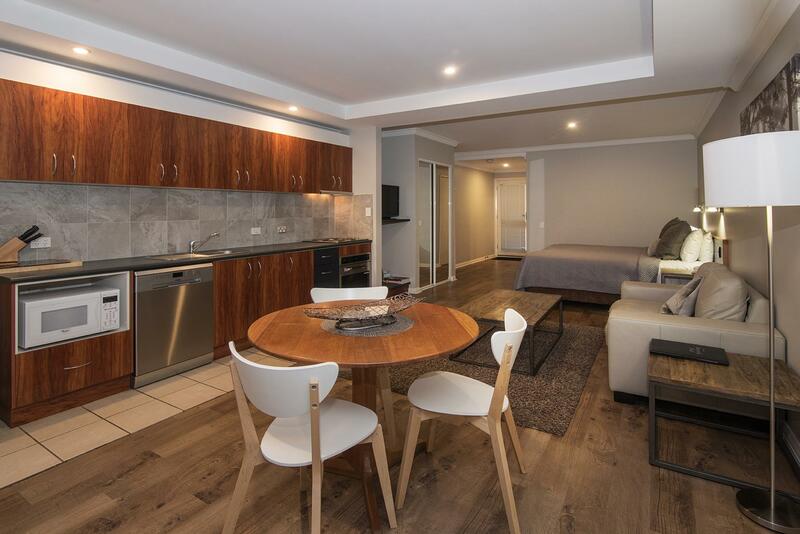 Apartment is well equipped with kitchen, jacuzzi, living area. Location is convenient, quite, ample parking. Excellent service staff. Everything was just so excellent for our stay . Will definitely stay with them again when we visit Margaret River. Thanks for your review Jennifer :) We are so pleased to read that you enjoyed your stay! It was a pleasure to have you as our guest and we look forward to seeing you next time. 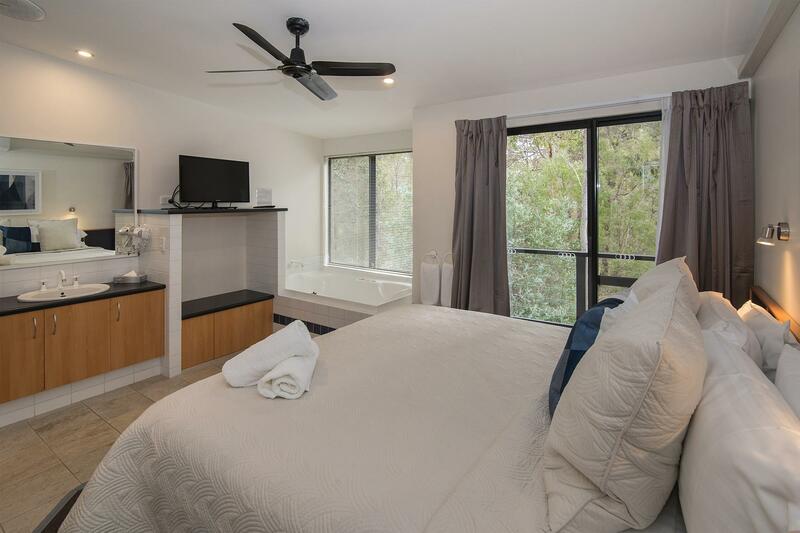 A lovely property in a great location within walking distance to many good food including the Margaret River Bakery. It is also a short and easy drive to many other attractions like vineyards, farms and caves. The staff are friendly and attention has been given to the amenities provided to make the stay more comfortable (e.g. room diffuser, tea light candles, portable heater). Furnishing in the house is stylish and instagrammable! Rooms are huge (but bath is also in the room and not private at all... recommended for couples only!) Toilets are located outside the rooms. Kitchen is fully equipped! Very enjoyable stay with family :D Location is very central and has lots of good eats all around! Supermarket is just right beside us, very convenient! Thank you for your lovely review. We are delighted to hear that you enjoyed your stay! We agree, the Margaret River Bakery is a must when in town. Located right across the road it is very convenient - but also dangerous ;) It was a pleasure to have you as our guest. We hope to welcome you back next time! This was a lovely apartment, well equipped with everything we needed. Staff are unobtrusive but there if you need them. The only downside we experienced was our room was noisy from the road very early in the mornings. With our car we were perfectly located to explore the area and on arriving back could walk to bars and restaurants. Would be good if check out was just a little later. 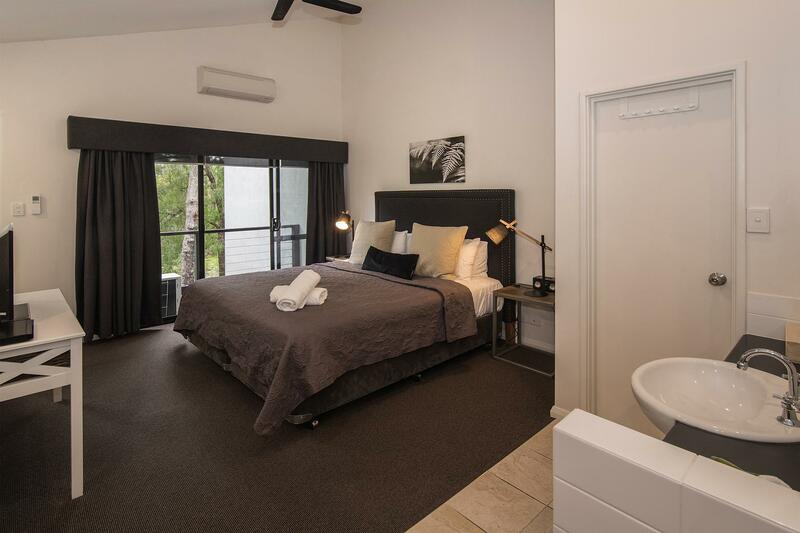 Great location, right on edge of Margaret River town. IGA is just next door. All restaurants, shops in town are just minutes of walking distances. Backyard has great walking/hiking trails, which my kids love. Apartment is spacious n clean,.looks modern on the outside. Only downside is the apartment looks old internal. Bathroom, toilet looks old. If u can look past this, would recommend. Will consider returning. Thanks for your review Pietro :) It was a pleasure to have you as our guest, we hope to see you next time! Great location. Overall it is a good and comfortable accommodation. The only criticism is some of the equipment and furnishing may be close to their end of life. E.g. the timber blinds are looking tired and difficult to operate. Thanks for your review :) we are so pleased to hear that you got to make use if the BBQ - which have all been recently replaced. It was a pleasure to have you as our guest and we hope to welcome you back for your next visit! Thank you for your review. Enjoy the rest of your travels. Another lovely stay! Close to everything you possibly need. 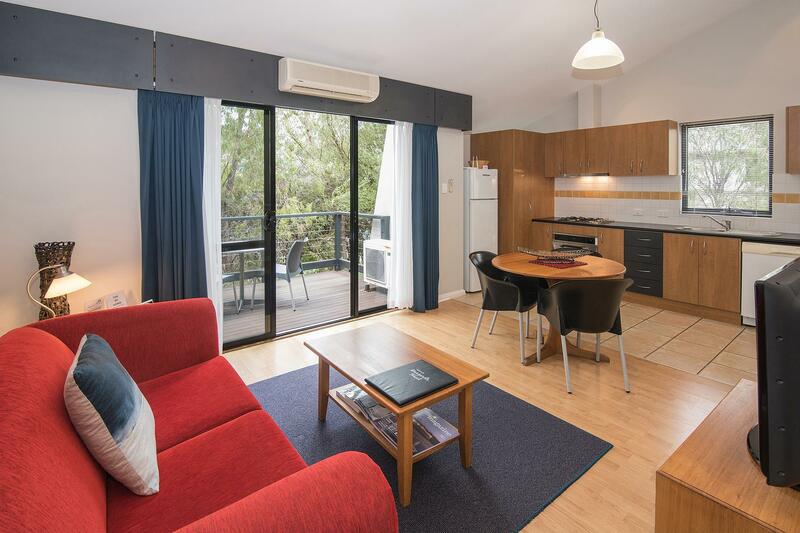 Walking distance to food, takeaway, Coles and woolsworth supermarket, etc. With our own private parking lot, washing machine(ours wasn’t working hence had to use another room’s), I could prepare all meals conveniently. Lovely experience! Thanks so much for taking the time to write such a lovely review! It sounds like you had a wonderful time. We agree, the markets certainly have beautiful fresh local ingredients to cook up a delicious feast in the kitchen. It was a pleasure to have you as our guest, and hope to welcome you back for your next visit to the Margaret River Region. master bedroom located right beside the road and about 5am you will hear trucks going past...if you are a light sleeper. good luck! overall nice comfy bed, spacious and will stay again in quieter room. Pros : In the town. Good location with shopping & restaurant. Cons : Stay in spa studio. Room is on the 2nd level with no lift. Shower area is a see through glass panel. People with knee problem or big luggage or not comfortable with shower area, will have to book other room.